As aluminium trade manufacturers, we supply thousands of trade companies across the country with aluminium windows and doors. Aluminium is strong and highly malleable, as well as being is one of the most plentiful resources on this planet. This makes it very commercially viable. It is also highly sustainable, environmentally friendly and almost endlessly recyclable. Aluminium is a light weight, high strength material and because of these unique properties it is used in virtually every facet of the modern construction industry. From patio doors in homes to curtain walling on the tallest sky scrappers. It is easy to handle which reduces the environmental impact and cost or transportation. It is incredibly formable and can be bent or shaped into innumerable designs. These properties mean that aluminium provides architects with endless design possibilities. Aluminium is very durable and highly resistant to rust / corrosion caused by modern industrial pollutants and requires very little, long term maintenance. The life span of aluminium products is measured in decades rather than years. Aluminium is the third most abundant material on earth after oxygen and silicon, making up 8% of the earths' crust(3). 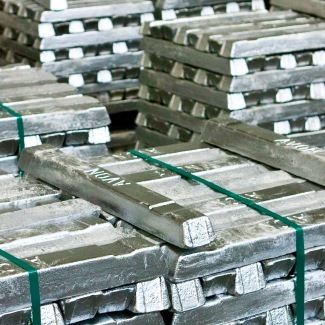 The current reserves are estimated to last for at least 400 years without factoring in recycled aluminium(4). But due to the fact that aluminium is endlessly recyclable these reserves become in effect, inexhaustible. 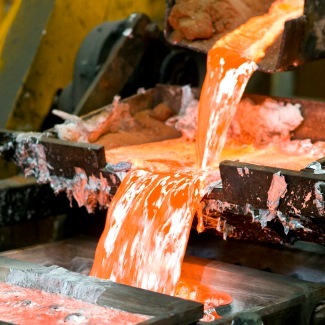 Aluminium is created from bauxite ore which is mined from reserves all over the world. Bauxite is generally found in deposits 4-6m thick just below the top soil. Bauxite deposits are extracted by out-cast mining, where standard practice when preparing a site is to remove the top-soil for storage, for use in site restoration. The IAI conducts regular bauxite mine rehabilitation surveys. The survey in 2002 reported 97% of world bauxite operations had rehabilitation operations in place, and that the relationship between the total areas mined and mined area rehabilitated was 83%(5). The survey concluded that the majority of rehabilitated area was returned to its original state. This shows that the process of extracting aluminium from the environment has minimal long term impact. Aluminium is arguably the most sustainable building material in the world and is also highly recyclable. When the old Wembley Stadium was demolished 96% of the aluminium was reclaimed and recycled. The recycling process creates high quality aluminium which loses none of the physical properties of primary aluminium and also uses just 5% of the energy it takes to create primary aluminium. This is why aluminium in generally regarded as the worlds most sustainable building material. The current trend in environmental policies focuses in the main on sustainability and the recyclable credentials of building materials. We are all aware of the environmental factors involved and that these credentials are set play an increasingly larger role in the industry as these trends continue. We are committed to working with our suppliers and customers in use of sustainable resources and the promotion of the sustainable credentials of aluminium fenestration products. Recycled aluminium is what the European Aluminium Association (EAA) terms an "Energy Bank". This is because the aluminium recycling process uses only 5% of the energy used to create primary aluminium from bauxite ore(1). The International Aluminium Institute (IAI) estimates that 55% of world aluminium production is powered by renewable hydroelectric power(2). The recycling process creates high quality aluminium which loses none of the physical properties of primary aluminium, meaning that it can be endlessly recycled for use as new products without losing physical quality. therefore with environmental policies continuing to drive demand, it is perhaps unsurprising that the use of aluminium in architecture and construction is growing in popularity. The life cycle of aluminium products is measured in terms of decades rather than years. As a building material it is durable, requiring little long term maintenance. It is resistant to corrosion and common industrial pollutants giving aluminium products a much longer life cycle even in extreme environmental conditions. The EAA calls aluminium a 'cradle to cradle' material because although a particular product may have an end of life, aluminium as a material can be continually recycled and manufactured into new products.